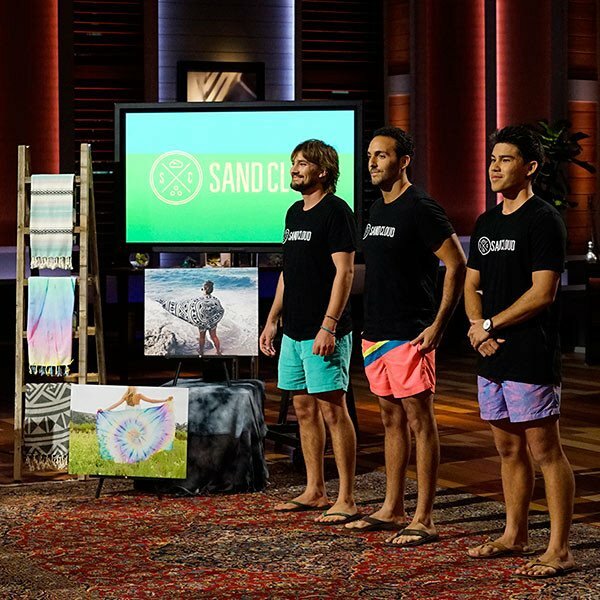 Brandon, Steven, and Bruno walked into the Shark Tank seeking $200K in exchange for 8% of their company Sand Cloud Towels. They are three beach-loving friends. After an uncomfortable day out in the sun, they came up with their first idea: the Pillow Towel. This product incorporated a pillow directly sewn into a beach towel, in order to achieve the highest level of comfort. After selling this product directly at the beach, the three friends quickly found out no one was interested in the product they were selling. Instead of giving up, they decided to talk directly to people at the beach in order to see how they could further improve their product. And that’s when Sand Cloud was born! The main feedback received was regarding how much there was a lack of originality in beach towels. People were and are still looking for a high-quality towel that also looks good and unique. And that’s where Sand Cloud comes in! All the towels are handcrafted from Turkish cotton and have vibrant patterns, they are lightweight and easy to carry, and can be used pretty much everywhere: at the beach, as decoration, or even as a fashion accessory! On top of all that, the company donates 10% of its profit to protect Marine Life. Each towel has a retail price of $47 and The cost of production is $10, meaning they have an 80% profit margin, most of which is being spent on advertising. How about their sales? In the 2.5 years they have been in business, they made $30,000 in sales during the 1st year, and the sales quickly rose to $430,000 during their 2nd year. This year, they have managed to make over $1.6 million in sales so far, and are on track to reach $3 million by the end of the year. Out of these 3 million dollars, they will have a profit of $800,000 since most of the money is being spent on Facebook advertisements. The entrepreneurs later explained that they spend around a quarter of a million dollars on advertising during the summer… and this only through the period of 90 days! They also specified that the money received from the investment would be spent on rebuilding and optimizing the company’s website. When it comes to the company’s money and inventory, the Sand Cloud’s owners specified that they currently have over $300,000 in the company’s bank account, as well as $160,000 in inventory. The original proposal set by the three entrepreneurs was $200,000 for 8% stake of the company and, more than money, the young entrepreneurs specified they were looking for a mentor to help guide them to the next level. Lori was the first to back out after saying she only saw it as a scarf and not a beach towel, and therefore felt like she didn’t quite understand the product. Mark was the first to make an offer: $400,000 for 25% stake. This would mean Mark and the three entrepreneurs would all be equal partners. The entrepreneurs decided to listen to the other pitches since 25% was more than expected, but Mark backed out immediately before they had a chance to hear any other offers. Daymond quickly jumped in and took the opportunity to make an offer of $300,000 for 25%. They countered with $200,000 for 10%, leading Daymond to back out of the deal. Kevin asked for $200,000 for 15% as long as he got a say in distribution since he expressed some doubts on the amount of money being spent on advertisement. Robert made the exact same offer. Although he didn’t quite understand the product, Herjavec explained he has had success in developing lifestyle brands online. It was time for the young businessmen to pick! Robert was the lucky winner, leaving Kevin O’Leary slightly resentful. What Happened to Sand Cloud after Shark Tank? Sand Cloud Towels are made with 100% Turkish Cotton. They are hand-made and one of a kind with the color and can be washed in a washing machine and air-dried. 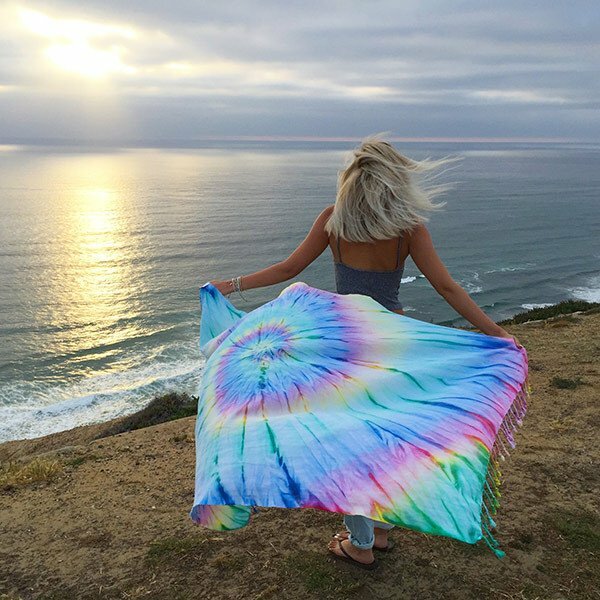 10% of the profit they make is used to preserved Marine Life so not only you can have a beautiful towel, you also feel great about your purchase because a portion of it is used for a good cause. See all products available here!